2016 Great Lakes Broadcasting Conference Announces Keynote Speaker Valerie Geller! The 2016 Great Lakes Broadcasting Conference (GLBC) and Expo will be held at the Lansing Center on May2 – 3 and will once again feature an exhibit hall and multiple breakout sessions. 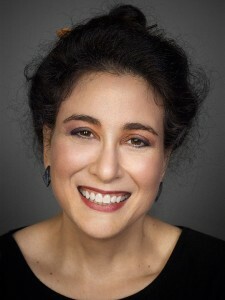 The keynote address will be presented by Valerie Geller of Geller Media International Broadcast Consultants. We’re sure you’ve read some of her books and industry articles, so come and hear what Valerie has to say in-person at GLBC! Valerie will also be hosting two breakout sessions at GLBC. Content is king, and those who create your content are what set you apart from every other “screen” or speaker you compete with. Everyone can improve and move to the next level of performance to create powerful content for news, personality TV, Radio, and to work more effectively across ALL platforms! Whether you’re writing news, producing, performing as an on air personality, or writing copy for promotion, sales or public service, it all starts with good writing and powerful storytelling. In this session, you’ll learn proven techniques in use by top broadcasters throughout the world. No matter where you are in your on-air career, EVERYONE can improve. Working across all platforms, learn proven techniques to help each member of your on-air staff get to the next level. And if you are on-air, learn these “diamond polishing” self-check techniques! Click here for information and to register for GLBC.